Applications are open for the 2015 SmarterPrize competition. SmarterPrize is a small business grant competition for young people with creative and innovative business ideas. 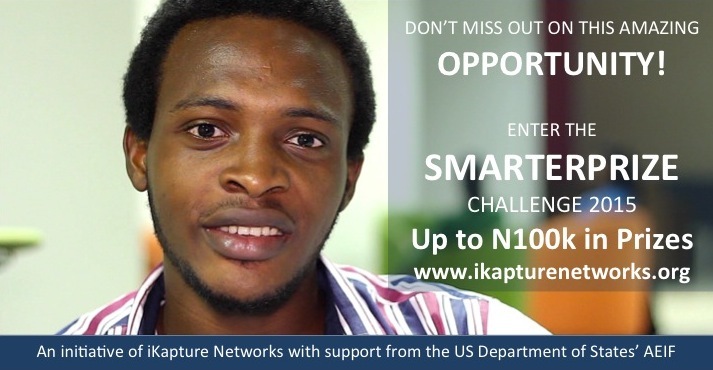 The competition is organised by iKapture Networks with support from the US Department of States’ Alumni Engagement Innovation Fund (AEIF). The aim is to identify young secondary school leavers between 15 and 24 years who have smart business ideas but lack fund to start-up.